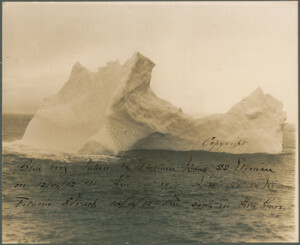 The iceberg which may have sunk the Titanic. Which hit which? There are many theories being put forward over the past few years as to why there were so many icebergs in the North Atlantic that fateful April night in 1912 when the Titanic collided with one and sank. While the information ranges from assertions by modern scientists and researchers that there were more icebergs due to a really cold winter and spring, the article below which was published in LIVE SCIENCE proclaims that 1912 was an average busy season for bergs. 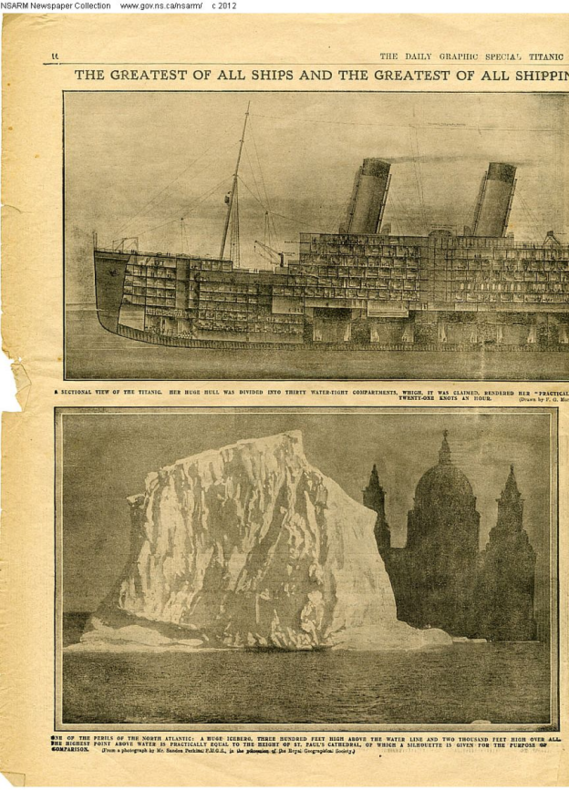 The article goes on to say that the iceberg “hit the Titanic”. As there was no known type of motorized or sail propulsion for the iceberg to guide or power itself and plenty of evidence to show that the Titanic had multiple engines working hard to push the ship along at about 21 knots with a crew on duty in the bridge to steer the ship, it was the Titanic that “hit” the iceberg and caused the disaster. Had the lookout been doubled, had the lookouts had the use of binoculars and missed the iceberg, it is clear from the history of the White Star line that the luxury liner would have arrived in New York. From Live Science: Old Coast Guard records are throwing cold water on a long-standing explanation for the loss of the Titanic: the suggestion that the fateful journey took place in waters bristling with icebergs, making 1912 an unlucky year to sail the North Atlantic. Instead, more than a century of Atlantic iceberg counts reveals 1912 was an average year for dangerous floating ice. The findings also contradict a popular notion that the Jakobshavn Isbrae glacier on Greenland’s west coast birthed the Titanic’s deadly ‘berg. Instead, a computer model suggests that one of the glaciers at Greenland’s southern tip released the iceberg that hit the Titanic on April 14, 1912, drowning more than 1,500 people in the frigid ocean.